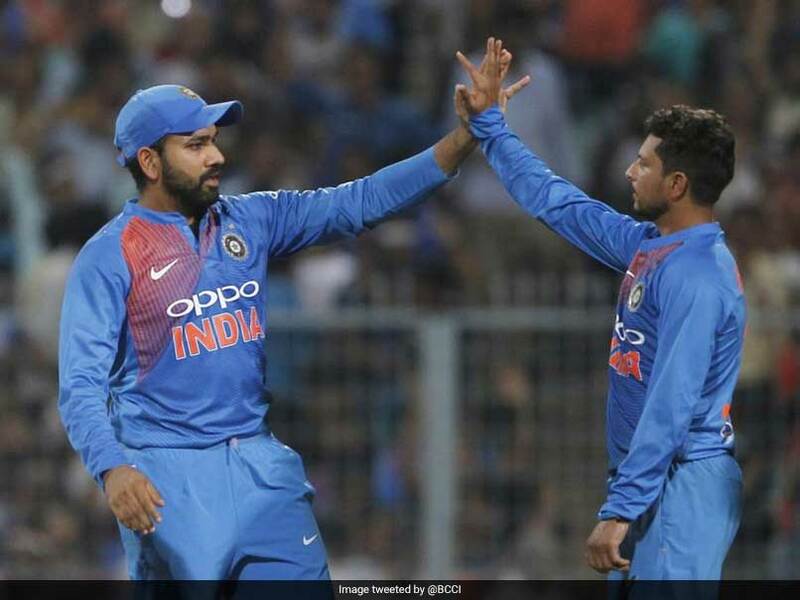 Watch: Kuldeep Yadav Surprises Kieron Pollard With His "New Weapon"
Kuldeep Yadav unveiled a new delivery that he has been working on in the 1st T20I against the Windies in Kolkata. 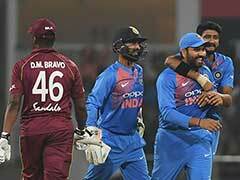 Kuldeep Yadav starred with the ball for India as the hosts beat the Windies by five wickets at Eden Gardens, Kolkata, to take a 1-0 lead in the three-match Twenty20 International series. Kuldeep took three wickets and gave away just 13 runs in his four overs to finish with a brilliant economy rate of 3.25. The left-arm wrist spinner was in top form and caused the Windies batsmen huge problems but one particular delivery of his caught the eye. In the ninth over of the Windies innings, Kuldeep unveiled the newest weapon he has been working on -- a faster delivery. 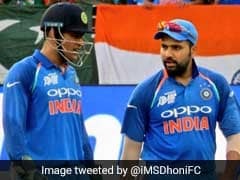 The new delivery might not have gotten him a wicket but managed to get people talking, especially Sunil Gavaskar and Sanjay Manjrekar, who were both in the commentary box at the time. "That's a quick one, medium pace at 107.7km/hr. It's a new delivery," said Gavaskar. "Straight crossed-seam delivery surprising the batsman. He otherwise bowls around 75 to 80km/hr when he tosses the ball up," he added. "It was incredible that last ball. Shahid Afridi use to bowl a quick ball at about 115-120. The boy is growing into a man," said Manjrekar about Kuldeep's newest weapon. Speaking after being given the Man of the Match award for his brilliant bowling, Kuldeep said that he had been working on the new delivery. "Very important to take wickets. Sometimes it happens, sometimes it doesn't. But that's my aim. The first wicket (of Bravo) was the one I cherished. It's the ball I'm working on (faster one). Just bowl it to contain runs as well," Kuldeep said in the post-match presentation. Despite Kuldeep's heroics with the ball, India made hard work of the 110-run target. In the end, it took a Krunal Pandya (21 not out off 9 balls) to get the hosts over the line in Kolkata.